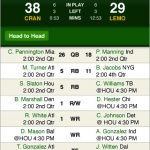 Anyone who has an ESPN Fantasy Football Team will know that it takes a lot of attention and time to get winning results, and the ESPN Fantasy Football 2009 app is a wonderful mobile tool for managing teams from any location. If you are spending a Sunday afternoon running errands, this app can allow you to add players, check statistics, and propose trades throughout the day and while on the move. The app also delivers a great menu of additional features that includes news and analysis, real time scoring, and push notifications for all kinds of updates. 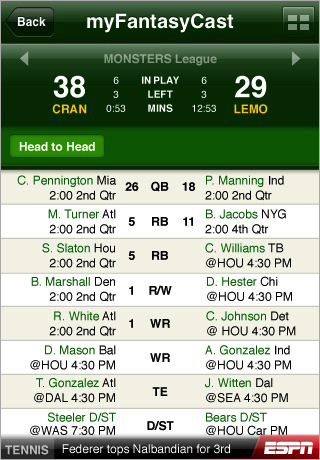 The ESPN Fantasy Football 2009 app offers an easy and fun approach to team management. It allows the owner of the team to bench, add, claim and drop players. They can also check in on their scoring for the day and the effects on their stats. 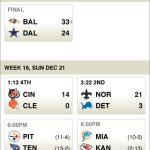 They can even take a look at all of the matchups for their week, as well as the NFL scorecard. 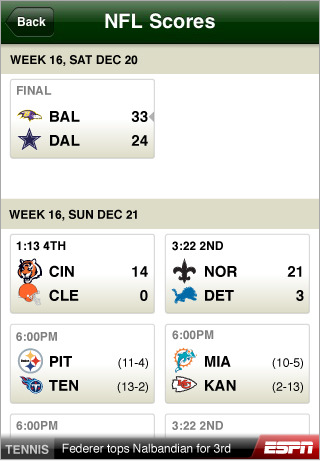 The app includes a League message board that lets all team owners leave and view posts as well. 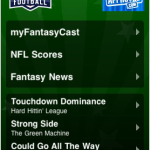 There are many fantasy football-oriented apps, but the ESPN Fantasy Football 2009 app is the exclusive offering for those with existing ESPN teams. This app functions with all Android, Blackberry, Nokia, Palm, Symbian, Windows Mobile, iPhone, and iPod Touch devices. 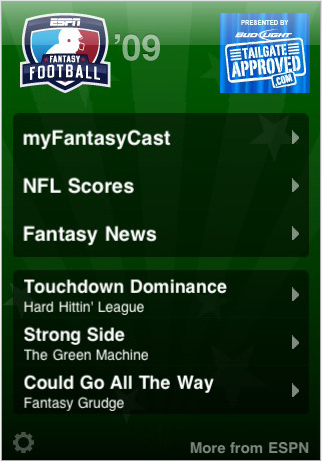 The ESPN Fantasy Football 2009 app costs $4.99 to download and an existing team is necessary for functionality. If you want an easy and mobile method of managing your fantasy team, this is the app to purchase right away.